Who would have thought that Bingo and Celebrities go together? It might come as a bit of a shock to some but bingo has attracted quite a celebrity following – there are celebs that play bingo, others that host their own bingo parties, those that represent bingo sites and even celebs whose careers started off in the bingo industry! Here’s a look at some of the better known celebrity bingo fans. Bingo and Celebrities, Who Plays? 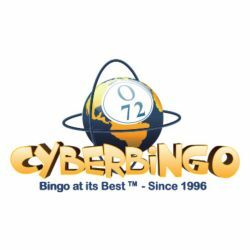 If you were wondering which celebrities play bingo than, first off let’s take a look at those who are associated with bingo and celebrities sites themselves – funnyman Vic Reeves is the frontman for 888 Ladies, Keith Chegwin has his very own bingo site whilst Eastenders favourite Barbara Windsor has just been signed up as the leading lady for Jackpot Joy Bingo. There are loads of celebs kicking about in the online bingo world though, so keep your eyes peeled! Of course bingo is loads of fun and it’s not just us who have noticed this, celebrities are getting in on action too. Some of the more famous bingo players include Robbie Williams, Gary Barlow, Catherine Zeta Jones and Sharon Osbourne, and even more recently the Royal family got in on the action when Prince William was spotted at a bingo hall while on a break from training at Sandhurst. More surprisingly perhaps there are a few celebs who started their careers in the bingo world and one famous name in particular started off as a bingo caller before becoming one of the most recognisable Aussie actors in the world. Yes, Mr. Russell Crowe did in fact start out in life as a bingo caller down under. Perhaps it was clear from the outset that Russell was destined for bigger and better things as he ended up getting sacked for somewhat dubious bingo calls such as “number 1, up your bum” – cheeky, Russell! So, next time you log on to your favourite online bingo site, remember, you might just be rubbing virtual shoulders with some of Hollywoods best stars! Bingo and Celebrities really do go together.